Come Sept. 10, enterprise blockchain ecosystem Dragonchain will raise the curtain on seven of its new, “innovative” products, designed to tackle several of the most critical issues hampering the blockchain industry, at the Blockchain Conference Seattle, according to a press release. The move comes just weeks after Dragonchain’s Blockchain-as-a-Service (BaaS) ecosystem moved into “production-ready” alpha 1.0 stage, and purportedly marks the project’s intention to double down on its mission of promoting blockchain adoption en masse. Central to this mission is the platform’s hybrid public/private architecture, which is intended to allow businesses to reap the benefits of both permissioned and permissionless instances of blockchain. Now, the seven new products, detailed below, have been calculated to offer industry-wide solutions in transparency, security, and scalability when they respectively launch on Sept. 10 in full alpha, beta or by Q2 2019 at the latest. Where clients may wish to purchase cryptocurrency from small and illiquid secondary exchanges, the issues of volatility and manipulation stand as significant hurdles. To solve this, Takara’s direct marketplace smart contract will offer Dragonchain users the ability to purchase at an adoption-based price, stabilized on a monthly basis; avoiding the instability of secondary markets. As the blockchain industry moves beyond its barebones infrastructure, enterprises will demand faster onboarding than ever. To accommodate this push, DragonNet permits businesses to utilize blockchain-based transaction verifications without the significant time and costs associated with building their own mainnets. Few may call for decentralization more than the social media sector, which has been stung, perhaps infamously, with a recent epidemic of erroneous narratives and misinformation. DragonDen will stand as a cryptocurrency-enabled social media platform that incentivizes and encourages the circulation of reputable and trustworthy media standards. DragonFactor’s identity service will seek to provide users with GDPR-compliant decentralized authentication, permitting them to have autonomy over their data and control over who may access it. Third-parties may set conditional criteria for blockchain-based outcomes. For example, only permitting transactions over a certain threshold to be conducted by verified customers. Dragonchain is taking a step into the burgeoning gig economy with Marketplace, which will allow any user to seek counsel from vetted and certified experts in a range of fields including crypto, marketing, legal, software development and recruiting. To foster development industry-wide, Dragonscale will act as an arbitrator and incubator, connecting blockchain projects with investment capital, service providers and other resources needed to ensure the growth of their businesses. 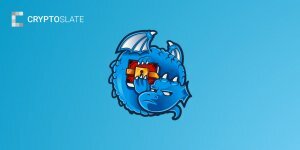 As the Dragonchain platform spreads its wings, a Dragon Days of Slumber Score (DDSS) will invariably become an integral aspect of the platform’s operation. Permitting token holders privilege based on their token balance and length of holding, DDSS may see time become a hotspot for manipulation, which is why Dragonchain has doubled down on a more robust time-tracking system. Having emerged from the den of development, Dragonchain will unveil the seven new products in full detail at Blockchain Seattle, Sept. 10-11. The post Dragonchain to ‘Reimagine’ Blockchain with Launch of Seven New Products appeared first on CryptoSlate.